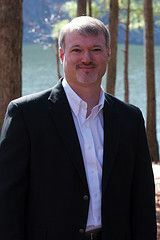 Looking to buy or sell a home in the Jasper, Alabama area or the Lewis Smith Lake Alabama area? I am a Broker with Joseph Carter Realty. Also, I am a Multi-Million Dollar producer with 15 years of real estate experience! I have sold Millions and Millions of dollars of Real Estate in the Jasper area and on Lewis Smith Lake. Call if you have any questions searching for your dream home. ©2017 Alabamarealestateman.com 205-275-9501 "Broker in Alabama"